Имате въпрос към Surigao Tourist Inn? 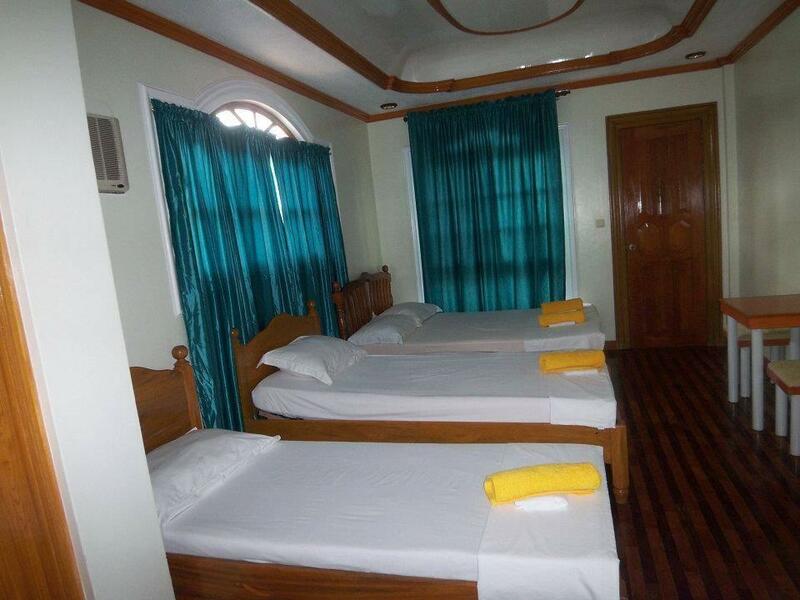 Сгушен в сърцето на San Juan, Surigao Tourist Inn е идеалното място, от което можете да започнете Вашето приключение в Суригао. Вълнуващият център на града е само на 1.4 km оттук. С удобното си местоположение хотелът предлага лесен достъп до всички градски забележителности, които задължително трябва да се видят. Съоръженията и услугите предлагани в Surigao Tourist Inn гарантират Вашия приятен престой. Този хотел предлага множество удобства, за да задоволи и най-изискания вкус. 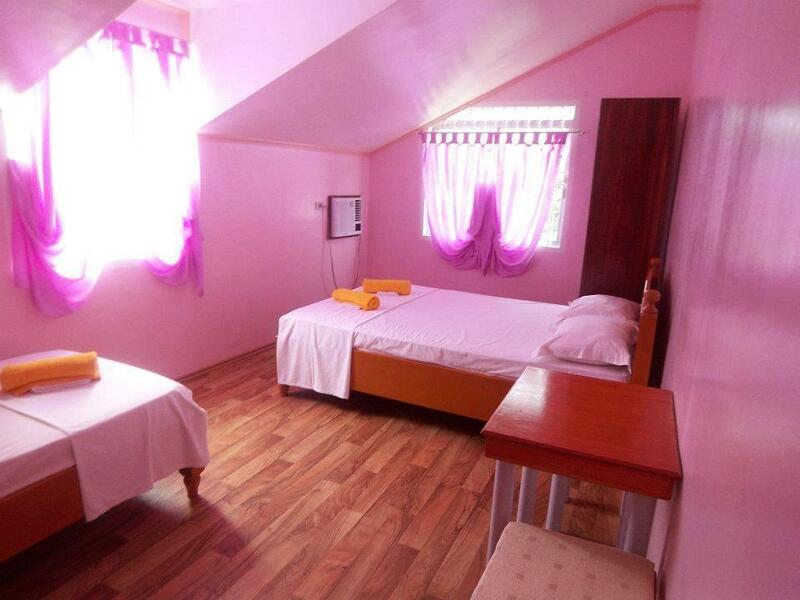 Атмосферата на Surigao Tourist Inn се усеща във всяка стая. Удобства като телевизор с плосък екран, безжичен интернет достъп (безплатен), климатик, душ са само някои от даденостите на обекта. През деня можете да се насладите на отпускащата атмосфера благодарение на масаж. Открийте интригуващата комбинация от професионално обслужване и широка гама удобства в Surigao Tourist Inn. The staff are friendly and helpful, check in and check out was really easy, the bed is comfy enough and the room a decent size, the bathroom has a hot shower. A basic place to stay but good value for money. Wi-Fi strong in the common area. They sell water and basic necessities and there is breakfast available at the place across the road. Plenty of trikes pass in front of the inn. Pros: there is heater ,near main road. I love the hotel though it was far away from downtown area. we also had a problem searching where we'll have our dinner. We thought the karenderyas near the hotel were open till 7pm. There was even a restaurant saying 24 hours but wouldn't serve us anymore because they don't offer any meals around 7pm. We were like "why say your open 24 hours at the first place? Thank you for giving false advertising. " but the hotel was great and the staff were so nice they let us eat in the lobby and served us some plates. we also liked the internet connection. The annex is about 600m from the main hotel. it's new, modern, and has good WiFi, TV, and bathroom. I had a 4th floor double overlooking the ocean. perfect, you might think. BUT.... be warned. the church about 50m away plays an absolutely abominable, deafening recording of bell ringing at 0445 every morning, for 30 minutes, and twice on Sunday. Incomprehensible! Had to book one night because we didn't get to catch our boat over to siargao island. So we ended up staying in Surigao for one evening. It ended pretty well all things considered. The staff were lovely and let us check in early. They helped us get some food and were very accomodating. Location is a bit far out but that's not too big an issue as you can go basically anywhere for 8Php. We are going to Siargao and we stayed in here just for a night. The place was good, the room was clean the bathroom was nice and big. Recommended if your looking for a place to stay before going to Siargao. Kudos! Have you ever taken a shower and the water stopped running, had no toilet seat or toilet paper in your bathroom, no internet during the day so the reception wasn't able to find your booking, have you stayed right inside a slum? No, but sounds fun? Book this. Location is near the seaport for catching an early trip of lantsa going to Siargao Island. Hot shower was broken at the time we checked-in though toilet is spacious, rooms has AC and there is a snack bar at the lobby if you need to grab a bite or drink. I'm just an average-sized American guy and my girlfriend is quite smaller than me but we didn't sleep well because the Deluxe room we stayed in felt very cramped. The toilet/shower is basically in the same tiny room as the bed, separated only by what can be described as a thin plastic wall room divider that doesn't even touch the top of the ceiling. Price is OK but really should be cheaper to make up for the discomfort. Location isn't anything to talk about. We won't stay here again and I'm saying that after having stayed in countless budget hotels all over the Philippines. Only positive experience about the stay was the staff who was quick with the check in/out process. the room was simple small a bit but it was clean and nice. the staff was friendly and in the loopy there is kitchen you can use to make coffee and cook even. 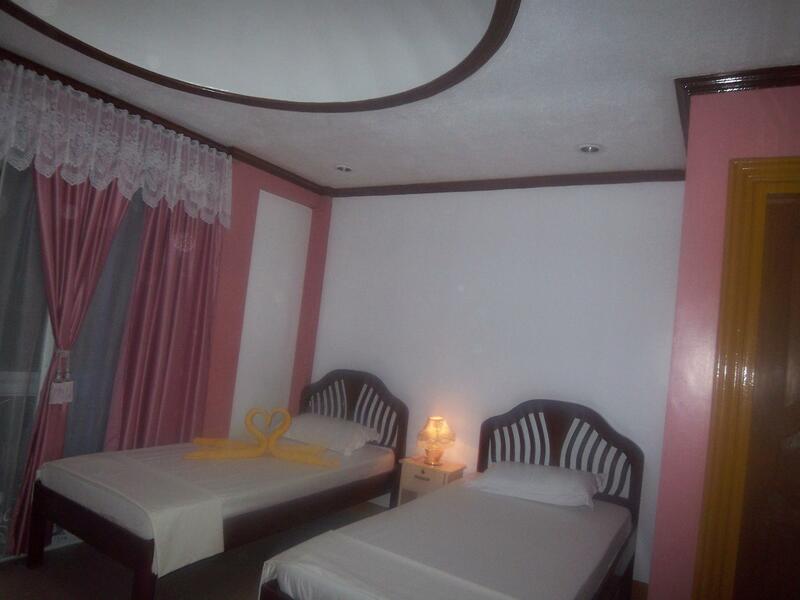 I like staying there, if I'll visit Surigao I'll get this hotel again. For 900 PHP (18 usd) it's a rip off! The water smelled so rusty, no toilet flush, no complimentary toiletries not even a toilet paper. The bed and pillows aren't comfortable and they only gave us a very thin blanket. No sink and the towels they provided are thin and unwashed. Ugh! This place was just a complete nightmare! I will never ever comeback! We stayed here for a few hours because we were stuck for the whole day in Surigao and no other decent hotel was available. Not bad for the price, really just the basic necessities - nothing more. If you are traveling and you find yourself in Surigao and you need a budget accommodation just for one night, I think this is ok. However it’s really far from the center, so be prepared to take a tricycle to the city center each time. 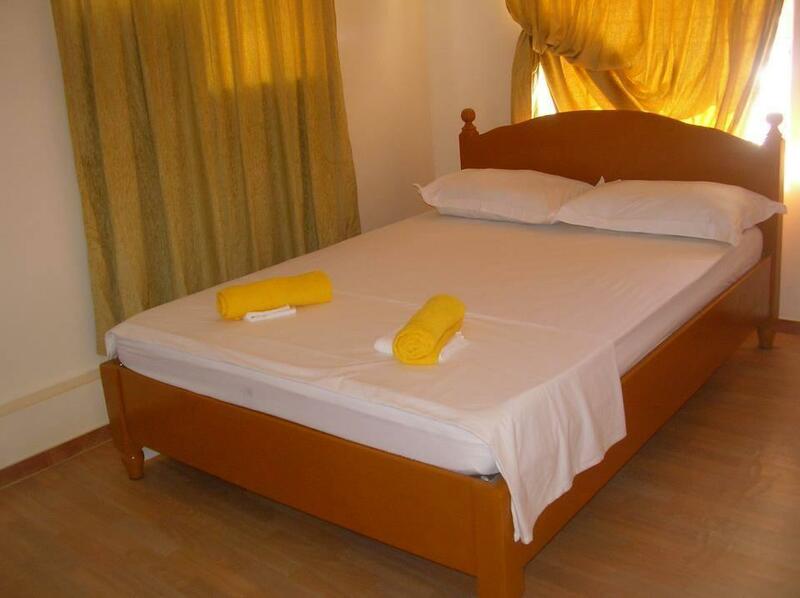 Helpful and friendly staff but the accommodation offers only rudimentary facilities. Helpful staffs and friendly. 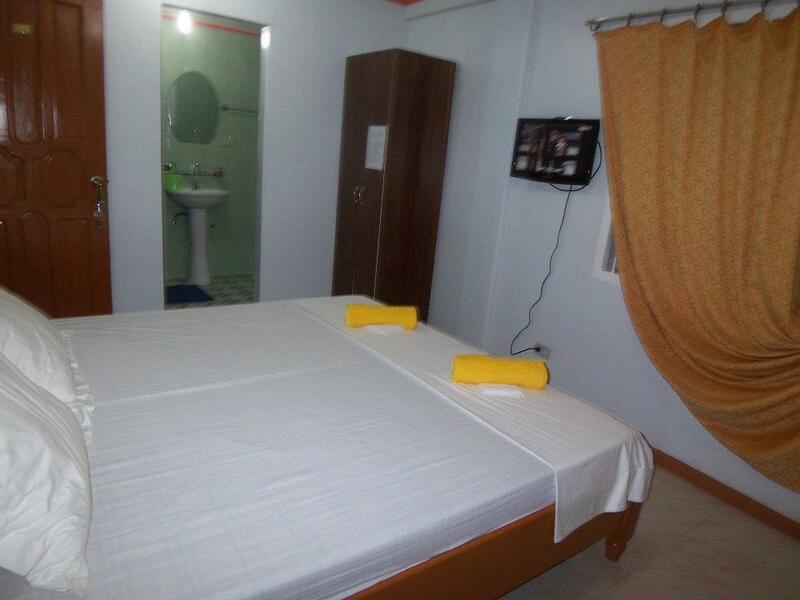 The room is quite spacious, its clean and a/c works just fine. Stayed here twice now and its location and good value for money are hard to beat.Very happy staying there.